Growing up, I've always been a huge fan of the food network. From Emeril to Ina, I loved the majority of the food network stars. One of the stars, Bobby Flay actually has a restaurant located at Caesars Palace known as Mesa Grill. 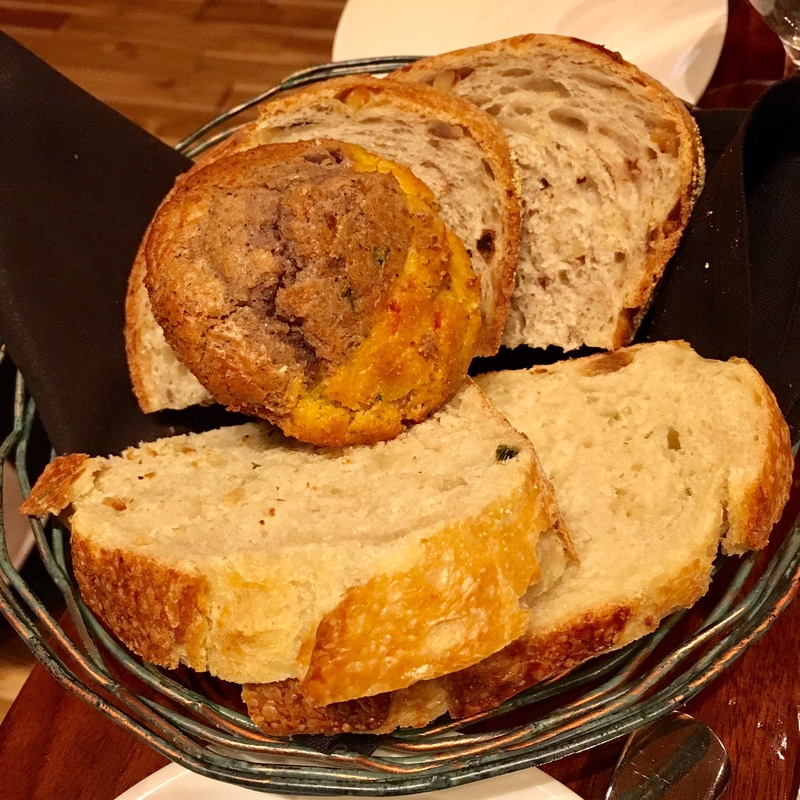 It is a restaurant that serves Southwestern cuisine, a style that he learned from Jonathan Waxman. 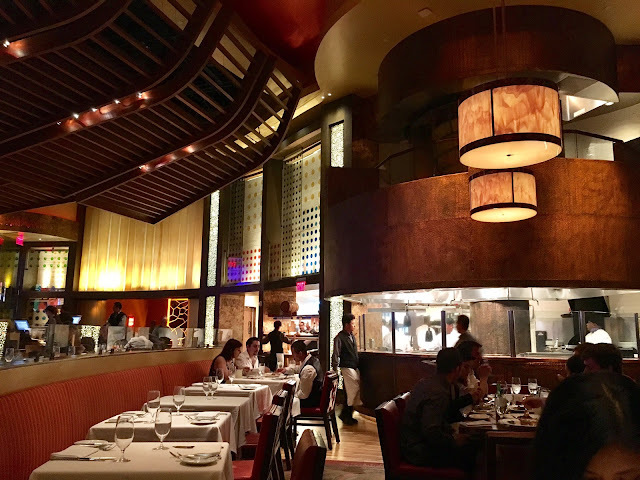 After successfully opening in NYC, Mesa Grill expanded to Las Vegas in 2004. 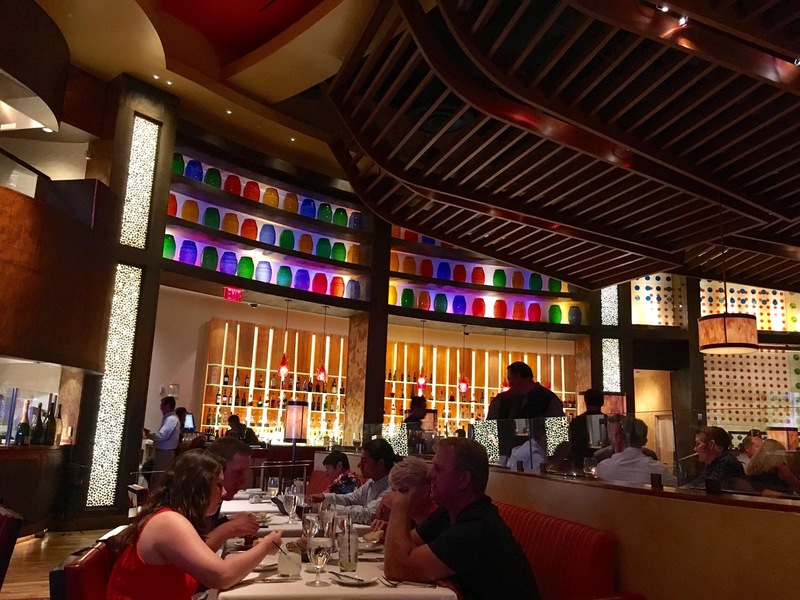 Located right next to the Omnia nightclub, Mesa Grill is a fairly large restaurant. A glass window allows diners to peak into the kitchen. The seats are comfortable and the decor resembles something slightly fancy but with bright colors that are representative of the Southwest. 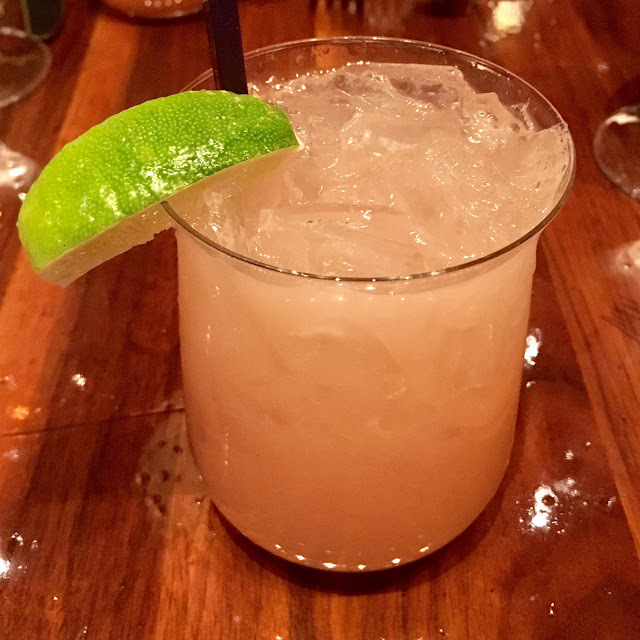 WHITE PEACH MARGARITA: This drink was delicious and made from scratch...none of that margarita mix crap. It was a bit strong and after a few sips, I could already feel the alcohol working (although I am bit of a light weight). It was yummy nonetheless. 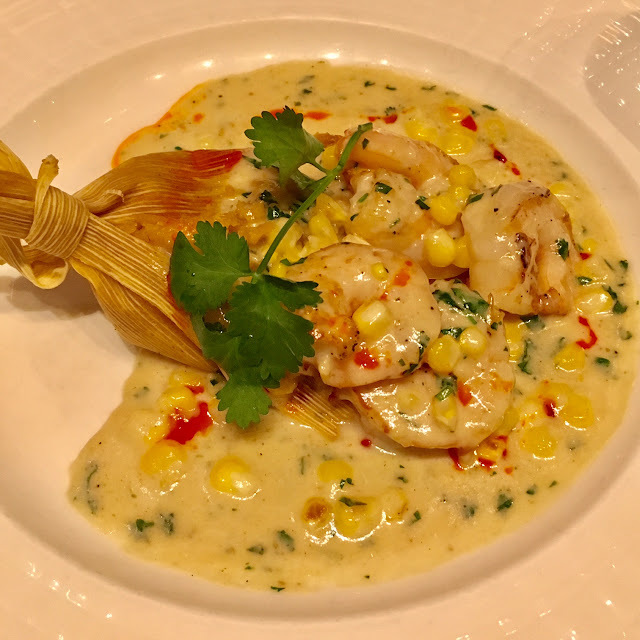 TIGER SHRIMP ROASTED GARLIC CORN TAMALE ($19.00): Corn, Cilantro Sauce. This was a delicious dish and apparently, one of Flay's signature dishes. I love corn and it's one of my favorite vegetables. The sauce was creamy and the tamale was awesome. The texture of the shrimp was succulent and perfectly cooked. A really superb dish. MY FAVORITE DISH. NEW MEXICAN SPICE RUBBED PORK TENDERLOIN ($37.00): Bourbon, Ancho Chile Sauce, Sweet Potato Tamale with Crushed Pecan Butter. OMG! Can you say tender?! The pork was super moist and juicy which is something hard to find. The tamale was sweet and the ancho chile sauce was a bit smokey. Together, it was a perfectly cohesive dish. I thoroughly enjoyed it. 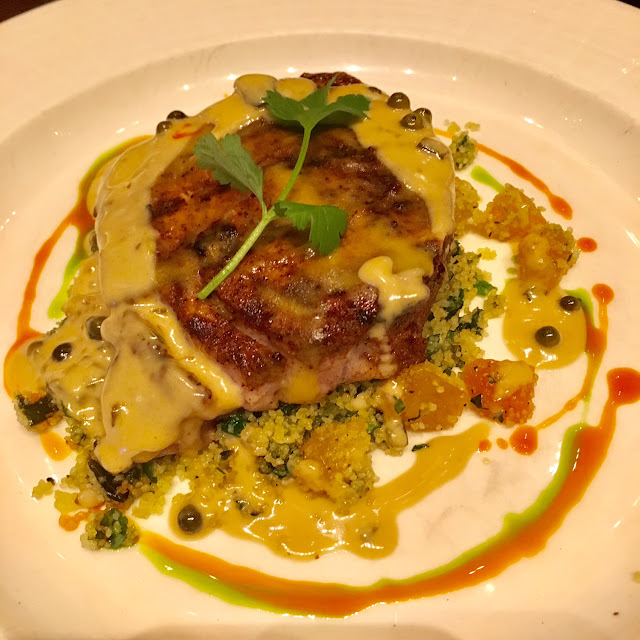 MANGO + SPICE CRUSTED TUNA STEAK ($38.00): Green Peppercorn, Green Chile Sauce, Toasted Pine Nut Cous Cous. This tuna steak was actually pretty amazing. It was delicate and flaky and the sauce went well with the fish. The cous cous was cooked perfectly and altogether, it was a yummy dish. Overall, Mesa Grill is a really good restaurant. I wouldn't say it was one of my favorites in Vegas, but I wouldn't mind going back if I couldn't think of a place to eat. The flavors were pretty strong and if you're not a fan of sauce, this isn't the place for you. Bold flavors and perfectly cooked food is what you get at Mesa Grill. Go Bobby Flay!